National carrier Air India is looking to raise Rs 500 crore through short-term borrowings to meet its working capital requirements. The short-term loan (STL) will be drawn in September in one or more tranches, according to the bid document. "Air India is inviting bids for government-guaranteed short-term loans (STLs) totalling to Rs 500 crore to meet its urgent working capital requirements," the bid document said. The tenure of the loan will be for one year (renewable) from the date of availing the STL, it added. The banks have been asked to submit their bids by September 10. In July, the government had sought Parliament's approval for Rs 980 crore in supplementary grants towards equity infusion in the national carrier. The amount is still awaited by the carrier. This is the second time in this fiscal year that the airline is borrowing for working capital. In June as well, Air India had borrowed Rs 1,000 crore through short-term loans to pay staff salaries and meet other payment obligations following a failed privatisation attempt. Its debt is estimated to be over Rs 50,000 crore. The carrier had borrowed Rs 6,250 crore from various banks between September and March quarters last fiscal for its day-to-day capital needs. Air India is staying afloat on a bailout package extended by the government in 2012, as part of a turnaround plan (TAP) and a financial restructuring plan (FRP). In the current fiscal year, it has received an equity infusion of Rs 650 crore up to June. 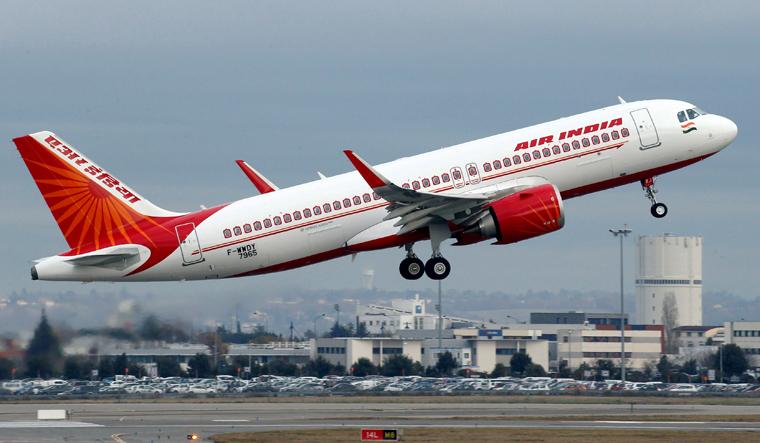 Under its turnaround and financial restructuring plans approved by the government in April 2012, Air India is to receive a budgetary support of Rs 30,231 crore over a 10-year period ending March 2021. Air India has received an equity infusion of Rs 27,195.21 crore so far.